Being a university ‘for the people, by the people’, UTAR’s commitment lies within its core, that is to become a global university of educational excellence with transformative societal impact. With an initial intake of only 411 students, the university has now grown to over 24,000 students in a mere 17 years since its establishment. To this day, the University has more than 110 academic programmes in nine faculties, three centres and three institutes, offering a wide spectrum of programme majors for students to choose. UTAR strongly supports the nation’s educational initiatives to meet the transformation agenda. Hence, it has involved in various educational programmes to emphasise on the importance of education to the local community. Besides improving students’ academic performance, UTAR’s educational programmes aim to train and encourage UTAR students and staff to get involved in educational activities within the community. To date, a total of 328 educational programmes has been conducted with the involvement of 8,304 UTAR students and 1,219 staff from various academic faculties and administrative departments. The educational programmes offered by UTAR include STEM projects for school children as well as training for school teachers. UTAR actively supports the Science agenda to increase interest in STEM education among school students and the public for long term national growth and development. One of the STEM projects is called the Kuala Lumpur Engineering Science Fair (KLESF). The fair aims to promote interest in science, technology, engineering and mathematics among primary and secondary school children and provide networking for schools, educators, industries, public and private sector to share information and experiences on projects, extra-curriculum and good practices in science and mathematics education in schools. Other programmes under KLESF include Mentor Development Programme, Symposium on Science Education (SoSE), KLESF Mini Workshop, KLESF Mobile Workshop and School STEM Programme. The recent KLESF 2018 was conducted at Mines International Exhibition and Convention Centre (MIECC). It was participated by more than 60,000 visitors. The fair also received active participation with booths from STEM-related industry corporations, more than 30 universities, non-government organisations and government organisations, and more than 280 schools, both local and international. 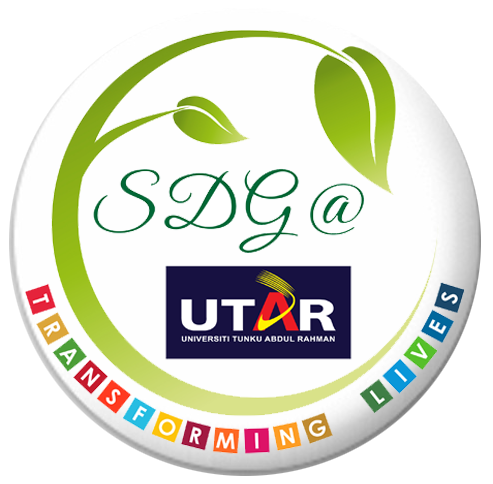 Besides conducting STEM projects for school children, UTAR also focuses on conducting training for school teachers. The Centre for Extension Education (CEE) conducts annual training for school teachers in professional development and psychology which includes areas such as classroom management, teaching methodology, ICT, assessment and evaluation in teaching and learning, critical thinking and writing, creativity and innovation in teaching, psychology in learning, and speaking and pronunciation. In addition, the UTAR Institute of Chinese Studies, in collaboration with the Taiwan Education Centre in Malaysia and the Organisation of Taiwan Education and Culture, Malaysia, has been conducting annual training programme for teachers of Mandarin subject in both public and private secondary schools in Malaysia since 2013. This annual training programme has since been offered in Petaling Jaya, Kampar, Melaka, Kuching, Sarawak and Penang to ensure that professional development training reaches the secondary school Mandarin teachers across the major regions in the country. Apart from these programmes, UTAR also organises other programmes such as the Malaysia Festival of the Mind (MFotM), English Language Camps and Dual Language Programme — PEMANDU. These programmes are supported by government and non-government organisations (NGOs) such as ASEAN Academy of Engineering and Technology (AAET), Malaysian Industry-Government Group for High Technology (MIGHT), Institution of Engineers Malaysia (IEM), Malaysian Ministry of Energy, Science, Technology, Environment and Climate Change, Malaysia Mental Literacy Movement, Yayasan Wanita Cemerlang, LBS, The Star and others who work together with UTAR to achieve the national objectives. Being one of the most prestigious private universities in Malaysia with several success at the international level does not hinder UTAR to give back to the community in the form of providing quality education to all ages. In the next issue, UTAR’s contribution in the field of medical and health will be discussed further.